The term “net neutrality” may not have much meaning to those who live in a country where it is enforced. However, for others that do not, the policy significantly hinders their ability to access the Internet, extending as far as controlling how it is used. Net neutrality refers to the concept that Internet Service Providers (ISPs) cannot interfere with the access they provide customers, ensuring equitable access for all. For example, using a social media site, streaming a video, or using a search engine can all be accessed interchangeably; meaning each site is treated equally by ISPs and one cannot be favoured over another in regard to the Internet access provided to consumers. It also guarantees unbiased use of whichever video streaming site, for example, a user may choose. In 2014, President Obama explained the rationale behind the principle as, “no service should be stuck in a 'slow lane' because it does not pay a fee.” Ultimately, net neutrality not only guarantees equal access to every site on the Internet, but as well as the information they contain. In spite of all these clear benefits proposed by the preservation of net neutrality, the United States is preparing to vote against the continuation of this policy on December 14th, 2017. The chairman of the United States’ Federal Communications Commission (FCC), Ajit Pai, is at the fore front of this movement to repeal the Obama-era’s net neutrality regulation in an initiative ironically named “Restoring Internet Freedom”. The abandonment of this policy in the United States will open doors for ISPs, giving them the ability to manipulate their services at the expense of customers. For example, ISPs would now be allowed to charge customers extra to visit certain websites or offer mobile data bundles which may include some apps while excluding others. Not only do the consumers suffer; the sites themselves may be charged fees to operate at full-speed. Without these regulations, ISPs can steer users to favoured websites – a phenomenon referred to as “traffic prioritization” – or offer sites themselves the opportunity to pay more to attract more customers than their competitors. The difference between Internet censorship and the absence of net neutrality must be noted. Censorship is administered directly by the government, whereas access to the Internet is controlled by Internet providers operating within the legal confines determined by the government. Canada, Brazil, France, Israel, Japan, Netherlands and South Korea, among others, are countries which currently uphold net neutrality policies. However, the idea that areas of the world wide web are restricted to some countries is not new. Portugal, New Zealand, and Great Britain do not have net neutrality, whereas other countries such as China impose a more extreme measure of internet censorship. 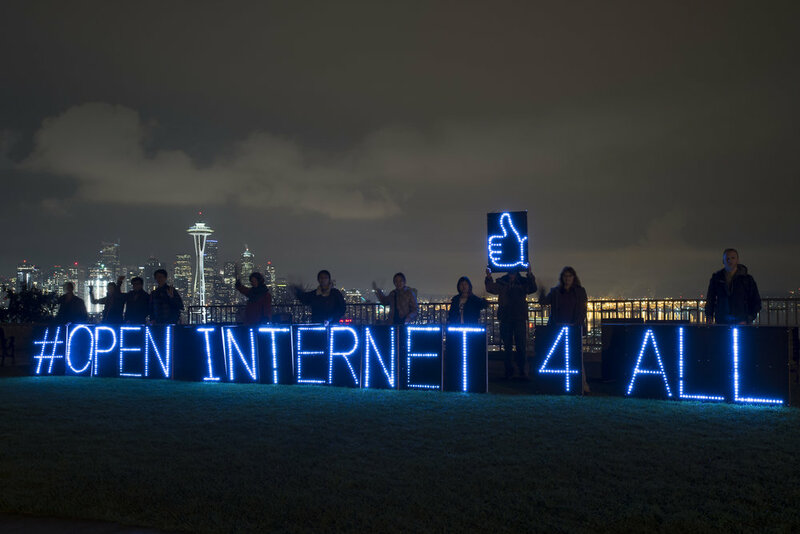 Current countries without net neutrality demonstrate the vast inequality the policy can produce and how it can restrict citizen’s access to the internet when such laws are circumvented. A common example is Portugal’s tiered internet service.Without strict Internet regulations governing their practices, Portuguese telecommunications companies, such as ‘MEO’ a popular service provider, offer tiered data coverage. These tiers included a “messaging” tier that cover FaceTime and Skype, a “social” tier that allowed access to Facebook, Twitter, Snapchat; a “video” tier for YouTube and Netflix; along with “email” and “music” tiers. Portugal, however, is not alone; carriers in New Zealand and Great Britain, where net neutrality regulations are either nonexistent or rarely enforced, are also experimenting with favoritism in the form of tiered pricing strategies. On the contrary, net neutrality isn’t always associated with negative outcomes. In Europe, one can expect to have the choice of over a dozen different ISPs to choose from, each competing with one another to offer the cheapest and most convenient services. As a result, market competition protects citizens from high prices – to an extent. However, the United States has a nationwide duopoly between Verizon and Comcast. Combined, these two ISPs provide high-speed access for more than three quarters of the population, giving them unprecedented power to utilize the repeal of net neutrality to its full effect. The Trump administration’s petition to remove the protections on net neutrality gives rise to several, serious concerns such as slower speeds, higher prices and more choices due to tiered pricing. Without the assurance of net neutrality, ISPs could exploit their own business interests. The end of net neutrality opens the door to what is called “two-speed internet”, a concept that involves charging a fee to mogul websites and apps in exchange for preferential treatment in the form of faster Internet and streaming services. Those who do not pay can expect to receive subpar speed that could render them so slow that users are unable to effectively use their platform. This grossly affects the overall market and industry, further contributing to the unequal playing field between established giants and growing start-ups. Moreover, the higher prices will likely be absorbed by the consumers. Those that are affluent enough to pay for the price increases will have access to higher speeds, however, lower income users will no longer be able to access much of the internet as they could prior. Although United States consumers will be able to pick from more choices, and for some this may better suit their Internet usage, breaking the Internet down into tiered pricing makes pricing both confusing and difficult to compare for consumers. While this not only allows companies to charge extra for unnecessary services that are grouped in pre-selected packages, it also permits ISPs and mobile carriers to increase prices across the board at the expense of the consumers. It is expected that telecom giants are likely to lobby lawmakers in the upcoming days before December 14th vote. More worrying is that the FCC Chief is the former Associate General Counsel at Verizon Communications. The changing internet landscape in the United States will undoubtedly affect Canada given the internet’s borderless nature. As consequence, it could prompt Canada’s telecommunications giants to seek the abandonment of net neutrality. This repeal will essentially turn the Internet into a product, while currently it serves as a utility. Net neutrality has the power to not only divide social classes by wealth but also by access to information. Over time, the United States could expect to see a further socioeconomic divide without the egalitarian access to the Internet that they are accustomed to.